The 2019 Knesset elections are over, but not much has been written about their potential impact on matters of religion & state and Israel-Diaspora relations. Hiddush polling shows that approximately 2/3 of Israeli Jews would prefer a civil government that does not depend upon the ultra-Orthodox parties. The 2019 Knesset elections are over, and while there may still be slight changes on the margins due to the protracted counting of the votes of soldiers, diplomats, etc., the results are more or less known. The only major unknown is whether the ‘New Right’ Party represented by Naftali Bennett and Ayelet Shaked will have representation in the Knesset. Our readership has undoubtedly been reading accounts of the elections in Israel and their potential ramifications. Less has been written about their impact on matters of religion & state and Israel-Diaspora relations. While the specifics of the next government’s policies are not known yet, and we will be analyzing them as the new coalition is formed and the party agreements come to light, it is already amply clear that the elections, in spite of the political drama and new political configurations, yielded comparable positioning of the two key political blocs. Also, there is a comparable potential narrow majority that Netanyahu enjoys, compared to the opposition. Had the Likud and the Blue and White party, which are quite similar on security and economic matters, been willing to collaborate and form the basis of Israel’s next government, Israel and the Jewish people would have witnessed the formation of a relatively stable majority coalition, not extortable by smaller extremist parties and not dependent on the good will and dictates of the ultra-Orthodox parties. We assume that this is also the wish of the majority of Israeli Jews and will verify this in a post-election survey that will be conducted next week. For the time being, we know from our pre-election surveys that approximately 2/3 of Israeli Jews would prefer a civil government that does not depend upon the ultra-Orthodox parties and advanced religious freedom and equality, rather than a government dependent on these parties and maintains the status quo on religious affairs. 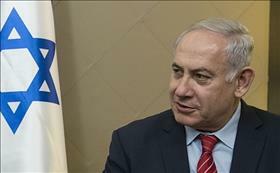 We mentioned a “potential” narrow majority that Netanyahu enjoys because if, as it seems, he attempts to build his coalition on such a narrow margin, allowing each partner party to prevent its formation in the first place and to bring it down after the fact, this is a sure prescription for excessive demands, which Netanyahu would find difficult to refuse. In suspending the Kotel Agreement in 2017, he already explained the Kotel is not important enough to bring his government down over. There are few issues that one can expect Netanyahu not to surrender if forming a coalition depends on them. In suspending the Kotel Agreement in 2017, he already explained the Kotel is not important enough to bring his government down over. There are few issues that one can expect Netanyahu not to surrender if forming a coalition depends on them. There is, of course, a known challenge that the Prime Minister will be facing because Avigdor Liberman who is the Chairman of the Yisrael Beiteinu Party, which mostly represents Russian Olim, has already expressed his demand that the Draft Bill for yeshiva students, which was proposed by the Defense Ministry and rejected by the ultra-Orthodox Agudat Yisrael Party, be adopted. He has said that he demands veto power on new legislation involving matters of religion and state. The Draft Bill is only one item on a longer list of serious humps that the new coalition will face. It inherits them from the previous government, and these ultimately led to its collapse. One of them will be the “Who is a Jew” controversy, for in anticipation of the forthcoming ruling of the Supreme Court on non-Orthodox conversions and the determination of the ultra-Orthodox parties to also prevent recognitionof Modern Orthodox conversions, they have already indicated their demand that the Conversion Bill presented by the Shas Party in the previous government be passed.